Pillage, plunder, and burn. That's pretty much the goals of any good viking. 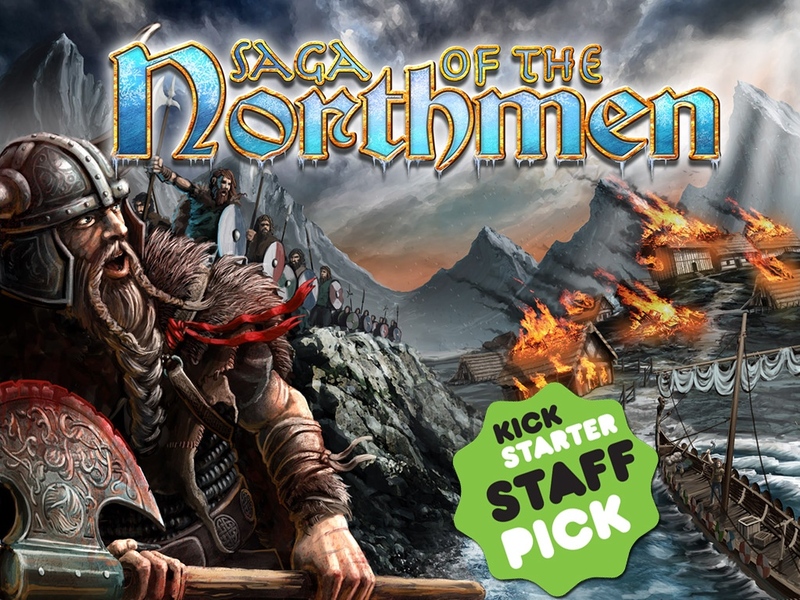 And such is what you want to do in Saga of the Northmen, a new viking-themed board game from Minion Games that's up on Kickstarter now. 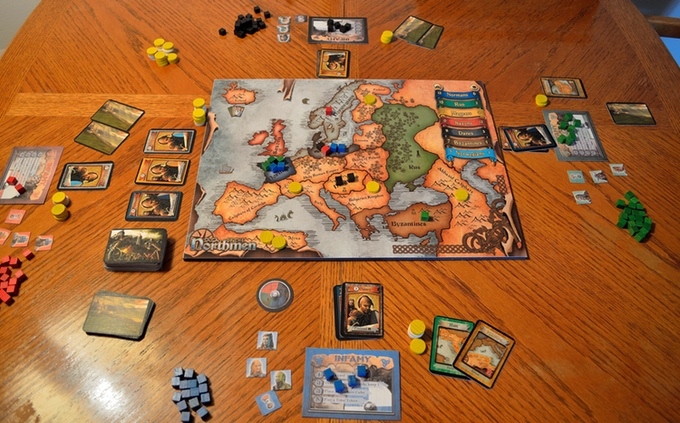 The game is a bit of worker placement with some area control as you look to spread your influence across the seven major kingdoms of Europe each round in order to make off with the most plunder. But beware, because your opponent's armies might just come in and take it all from you. The game seats 2-4 players, can be played by players age 13 and up, and takes about a half-hour to forty-five minutes to play. The campaign is about 1/4 funded, but there's still 26 days left to go to get in on it.